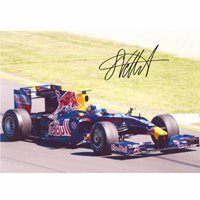 A signed 12x8 photograph by Sebastian Vettel. Sebastian Vettel 1. A signed and mounted 10x8 photograph. Michael Medwin. A signed and mounted 10x8 photograph. David Caruso 2. Sarah Kennedy - signed colour promo postcard. Sarah Kennedy. 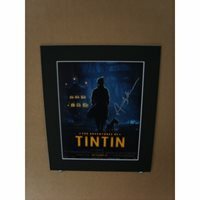 A signed and mounted 10x8 photograph by Andy Serkis. Andy Serkis 1. A signed page by Lee Meriwether mounted with a 10x8 photograph showing her in Batman. Batman - Lee Meriwether. 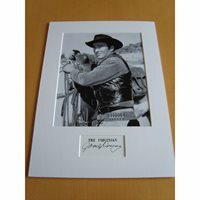 A signed page by James Drury mounted with a 10x8 photograph showing him in The Virginian. 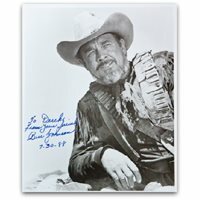 James Drury D - The Virginian. 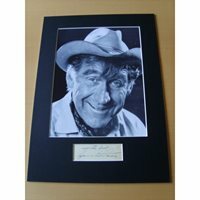 A signed page mounted with a 10x8 photograph. James Whitmore 1. A signed and mounted 10x8 photograph. George Cole 6. Signed pages by both mounted with a 10x8 photograph. 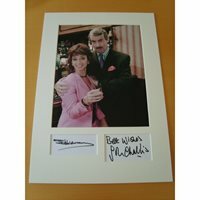 John Challis & Sue Holderness 2. 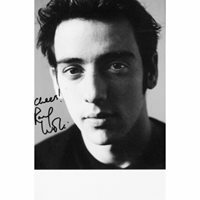 Ralf Little signed 7x5 B/W promo card. Ralf Little. A signed Carry On Constable magazine by both Leslie Phillips and Shirley Eaton. Carry On Constable. 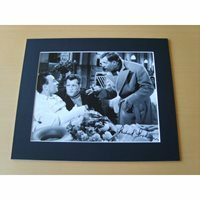 A signed page mounted with a 10x8 photograph. Adrienne Posta. 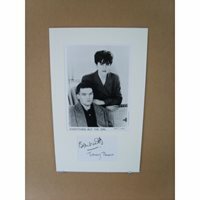 A signed page mounted with a 10x8 photograph. Shelly Winters. 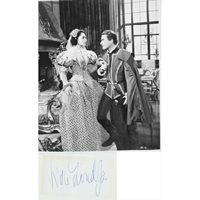 Viveca Lindfors signed album page complete with a 10x8 B/W photograph from the Movie The Adventures Of Don Juan. Viveca Lindfors. A signed 10x8 photograph by Jane Russell. Jane Russell 2. 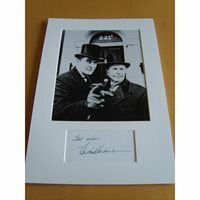 A signed page by Edward Hardwicke mounted with a 10x8 photograph showing him in Sherlock Holmes. Edward Hardwicke - Sherlock Holmes. 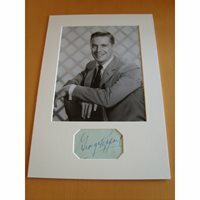 A signed page by George Peppard mounted with a 10x8 photograph. George Peppard. 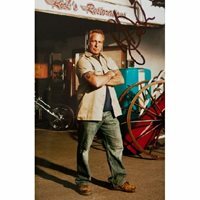 A signed and mounted 10x8 photograph by John Travolta. John Travolta. 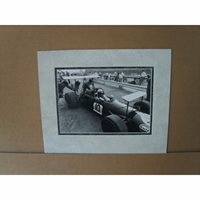 A signed and mounted 9x6 book picture. Jack Brabham 4.